I am excited to share with you the first post of the series Discovering the World. I’ll be sharing with you how little one is learning about other countries through activities, crafts, a lapboard that we will make for each country, music, YouTube, and Little Passports. The countries that we’ll be sharing with you are Brazil, France, Egypt, Australia, Mexico, Japan, and many more to come! Today we are visiting Brazil! 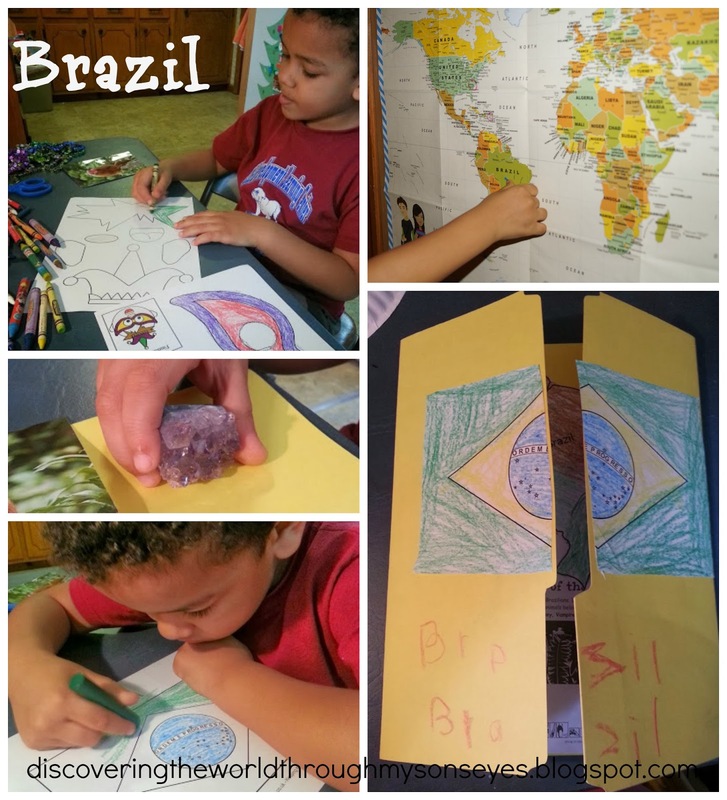 Our lesson included Little Passport’s Brazil kit, coloring pages of the flag, country, and the carnival mask. 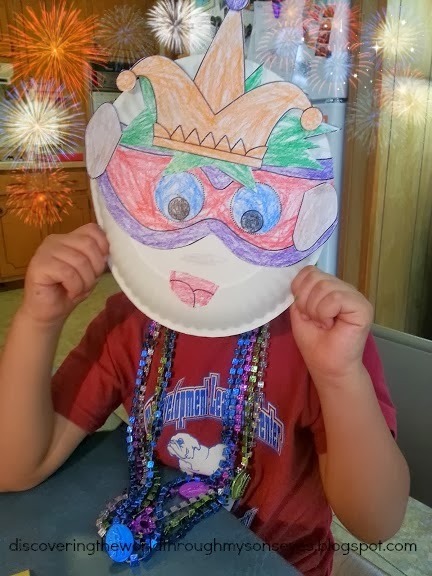 We also had fun making a carnival mask, and using some colorful beads that I had. To finish our lesson we I played some fun Portuguese children’s songs: Sapo Cururu and Meu Lanchinho – Galinha Pintadinha. We also learned some fun facts on Brazil, it’s people and culture on the National Geographic for Kids. Most Brazilians are descended from three ethnic groups: Amerindians, European settlers (mainly from Portugal), and Africans. Starting in the 19th century, waves of immigrants from Europe, the Middle East, and even Japan added to this mix. This diversity of cultures has created a rich religious, musical, and culinary culture. Brazilians are soccer crazy, and their country has produced some of the best players. The most famous of all is Edson Arantes do Nascimento, better known as Pelé. Brazil has won the World Cup soccer finals five times, more than any other nation, and will host the tournament in 2014. Can’t wait to see what country will be discovering next!